Deposit of $150.00 MUST be included with your registration form. Description: Actual fieldwork will be the emphasis for this seminar including, wilderness, urban, buildings (Large and Small), vehicles and scenario based training. To get this rate you MUST tell them you are attending the NC K9 E.R.T, Seminar you MUST also register by: April 1, 2018. Jeanne Frost – is a retired Patrol/K9 Lieutenant from Wisconsin and former US Marine. She served 20 years as, a police officer, and spent 15 years as a patrol/narcotics K9 handler, with 2 different K9 partners. Jeanne has been a trainer and teacher of “all things K9” for more than 25 years and continues to teach and train law enforcement, search and rescue, and disaster dog teams in many disciplines. Jeanne is a Canine Search Specialist for IL TF 1 with K9 Trixie, a human remains detection dog. She also served as President and is a retired K9 Handler for People and Paws Search and Rescue in Milwaukee, WI. Jeanne and K9 Trixie continue to work on criminal cases for law enforcement and human remains/forensic evidence recovery on a regular basis. 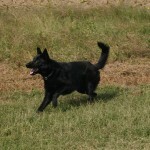 She is considered a subject matter expert for human remains detection dogs, patrol dogs and narcotics K9’s. Jeanne is a graduate of the University of Wisconsin and Mount Senario College in Wisconsin with degrees in criminal justice, public administration and is a Certified Public Manager. Dean Frisbie – Retired New York State Law Enforcement Officer K-9 Trainer/Handler. (31 Years of Service). Conducting K-9 Consulting for Federal, State, and Local Municipalities. National Narcotic Detector Dog Association (NNDDA) Certifying Examiner/Official in the areas of Cadaver, Explosives, Narcotics, Tracking and Patrol Services. Gregory Strickland – Gregory has worked in law enforcement as a sworn police officer since 1993. During this time, he has held positions in; Road Patrol, Traffic Homicide Unit, Motor Unit, DUI Task Force, Community Policing Unit, K-9 Unit (narcotics detection and search and rescue/recovery) and Detective assigned to the Drug Enforcement Administration (DEA). He has been deployed to hurricanes, plain crashes, Haiti earthquake and other state and local searches as a canine search specialist. Gregory is a member of Florida Task Force 1 as a FEMA Canine Search Specialist. 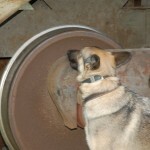 He is partnered with his FEMA certified live search canine, Indy, and his Human Remains Detection (HRD) canine, May. Gregory is currently a Canine Instructor, Evaluator (Live/HRD) and Mentor with FEMA, a Master Trainer with North American Police Working Dog Association (NAPWDA) Cadaver, an Elevator with National Entomology Scent Detection Canine Association (NESDCA). Mac Morgan – Mac has been active in dog training since 1979, a retired police K9 Handler, Master Trainer for Sanford Police Department. Mac began training – handling Search & Rescue Canines in 1992. He served as President and director of training for the Mid-Atlantic Working Dog Association, President and Vice-President of the NC Search and Rescue Advisory Council; currently Chief of NC K9 E.R.T. 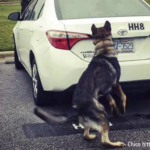 (NC K9 Emergency Response Team, Inc.); Mac and his K9s have worked with Law Enforcement Agencies across NC, SC and has been deployed across the southeastern US. Mac is a lead instructor, evaluator and certifier for the National Association for Search & Rescue for both people and canines and has instructed at numerous community colleges and various search and rescue seminars throughout the southeastern US.